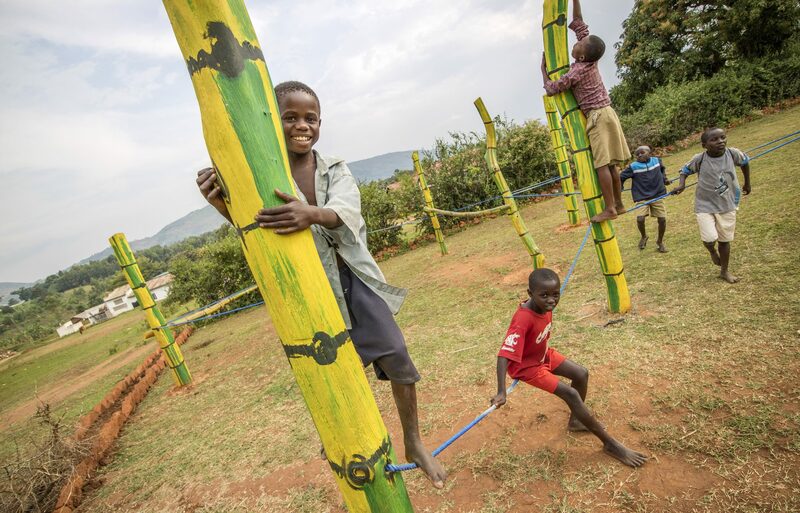 Since 2014, Play Without Borders develop play opportunities for children and young people living in areas where play, for different reasons, not is prioritized. PWB provide play opportunities, based on site specific research and in close relation to the users, the children. 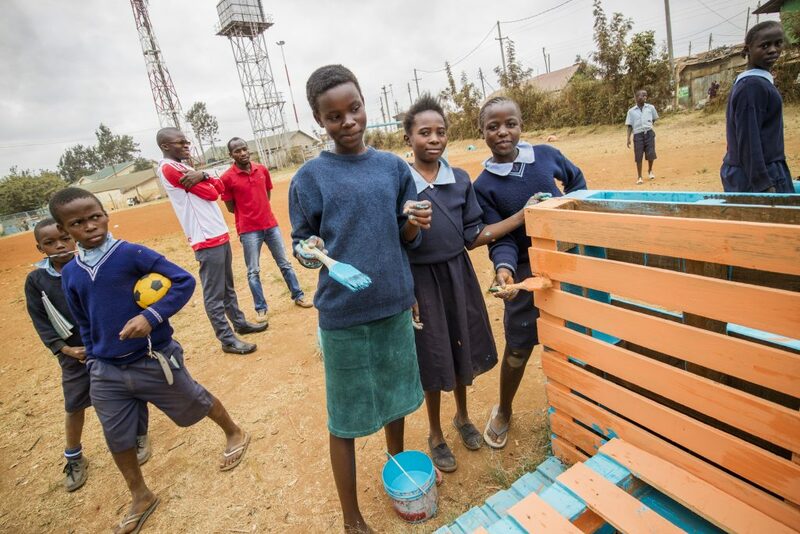 For PWB children’s perspective and involvement is a crucial part of the development of relevant and democratic play spaces. The organisation focuses on what is possible to achieve in the small scale instead of what is not possible in a larger scale. PWB have since it’s start in 2014 been working in Uganda, Kenya and Turkey. All the projects have been conducted in a close relation to local organizations with good knowledge and insight in the specific conditions at each place. The work of PWB are lead and organized by a group of Child Culture Designers that are also employed as Assistant Professors at HDK, Academy of Design and Craft at the University of Gothenburg. There they are in charge of many of the courses connected to children and play at the master program Child Culture Design. PWB are used to work in participatory processes and they have a good knowledge about theory revolving play, child perspective, child development, among other things. 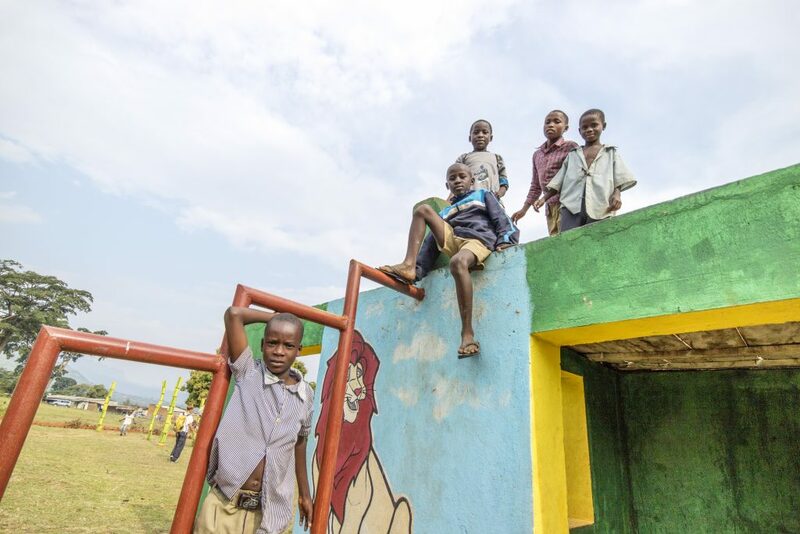 Playground in Bubulo for Kids of Uganda. Play Without Borders, 2014-2016. What does a playground mean when life is a struggle with diseases, poverty, to find food and finding a job? 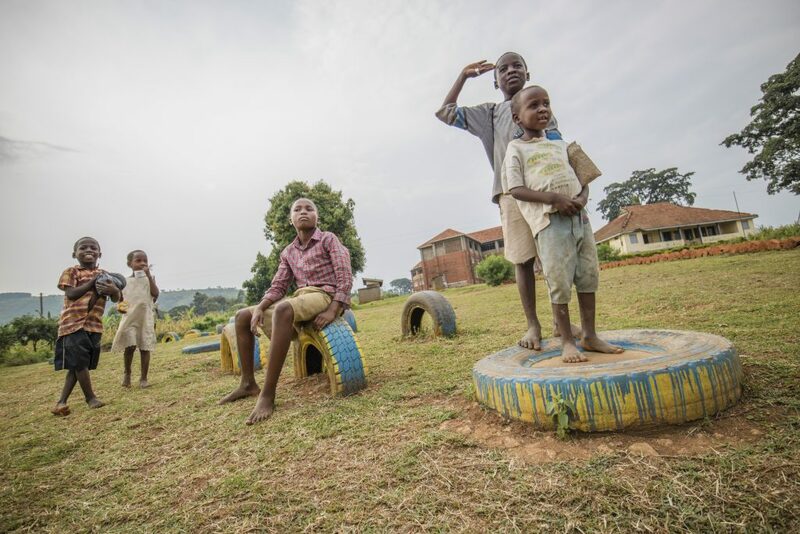 Play without borders were asked by the organisation Kids of Uganda to help out with designing a playground in the small village of Bubulo in eastern Uganda, where the organisation had an orphanage. And of course we wanted to. In august 2014 we went down to Bubulo to do research, get to know the area, get to know the people, to see what they produced, how they did it and what kind of materials they used. And most important of all, we played with the kids. This experience gave us lots of information and knowledge about how they play, where they play, who is playing, what they like and what they lack. One year later, in august 2015, the actual building of the playground started. 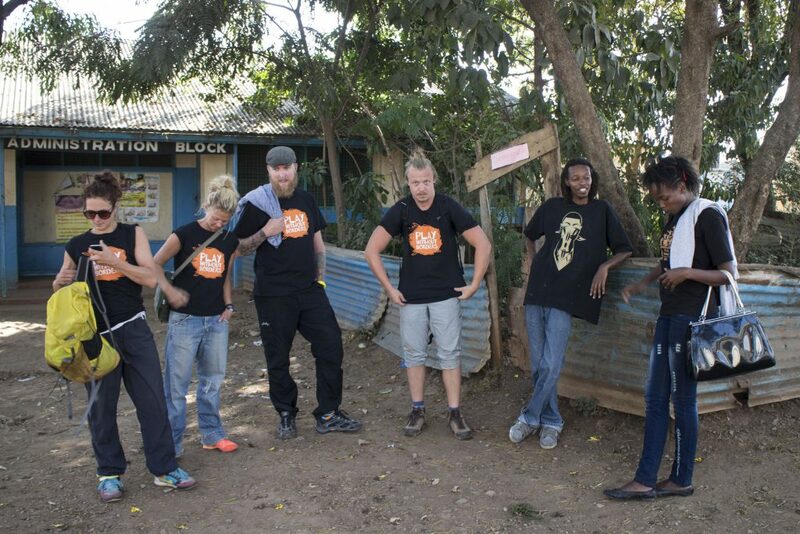 In 2016 we went back to Bubolo. The final form of the playground is the result of two years work, waiting, discussion, learnings and a lot of compromises. The playground is constructed with local wood och locally produced bricks. It consists of 4 main parts inspired by different areas of the village. There is a climbing structure with high poles and ropes that looks like a sugarcane field. The Manafwa River consists of dug down used car tires painted in blue, that together creates the waves of a running river. In the end of the space, away from the village center, is a small stage, Mount Elgon. The most eye-catching part of the playground might be what we call The City. A big structure that resembles a building, decorated with flowers and lions. The idea of The City is to encourage roll play, where the kids can play store or restaurant. That the house actually became three times as big compared to our drawings and what we had planned for (a result of communication and language challenges) made it perhaps more suitable for climbing and physical activity rather than roll play. 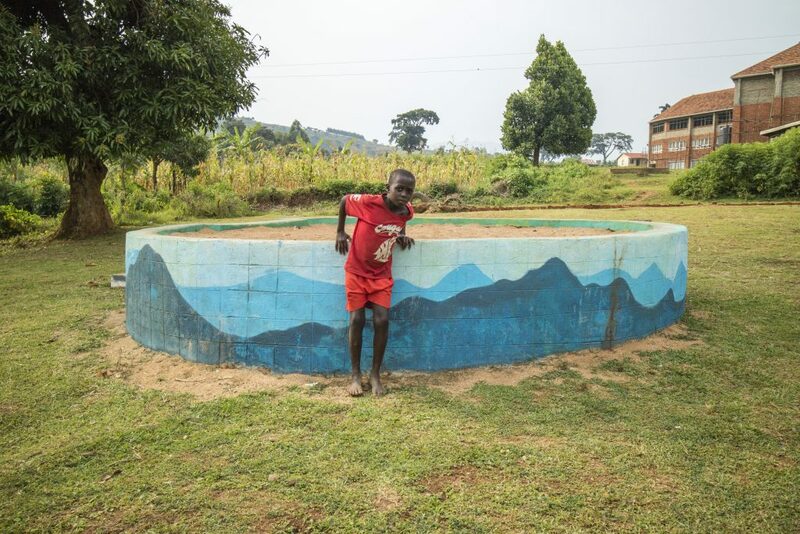 So what does the playground mean for the children in Bubulo? When meeting the mayor of the city, he explained for us that the playground has become a sanctuary for children with difficult situations at home. Here they can find peace for a while. Here, they can be children. The playground has also become something of a landmark for the village, something positive that the villagers can be proud of. The playground is a place that the children can feel belongs to them, that they can turn into their own. They can play free, and they can feel a sense of ownership and partnership. It is also a place that acts as a foundation for conversations about children rights, and that can inspire others to do something similar. 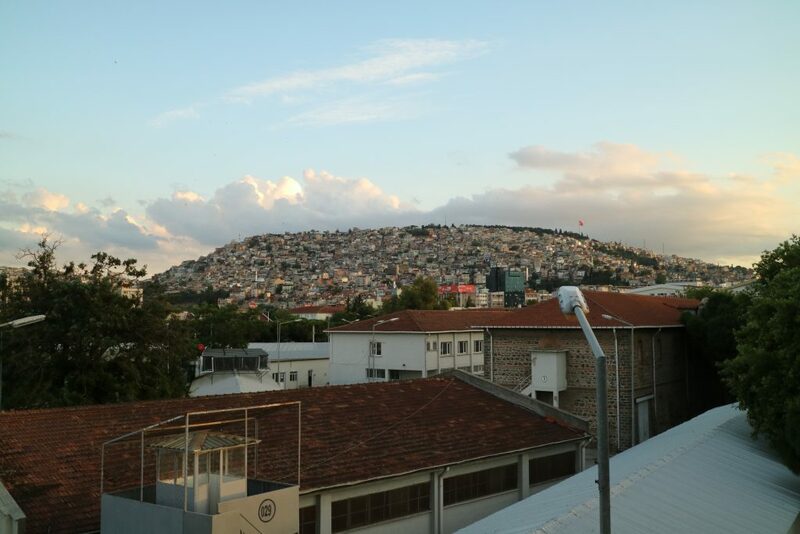 In May 2016 we were invited to Izmir, Turkey. 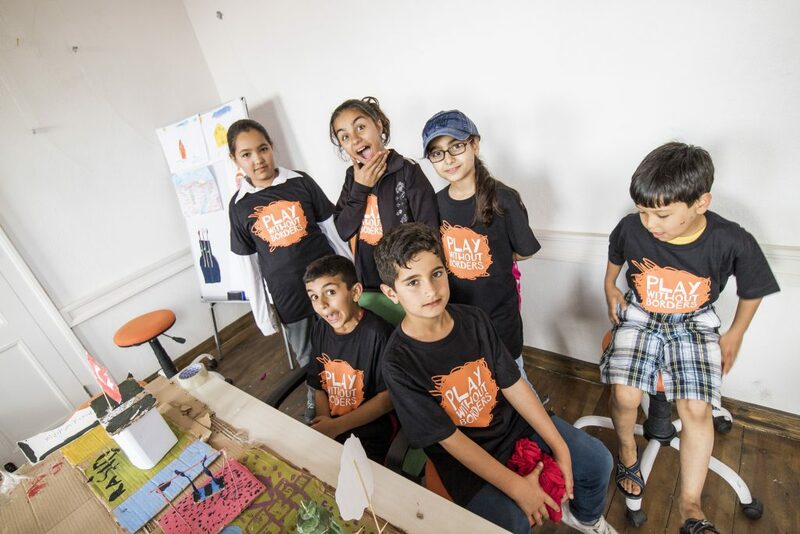 We were invited to take part in the first ever edition of Izmir Design Days and our contribution consisted of a talk at Tazarim Forum (Izmir Architecural Forum) and a two day workshop with refugee children in an area called Basmane. Together with a group of children, and with simple means, we discussed and created a small version of the City of our dreams. 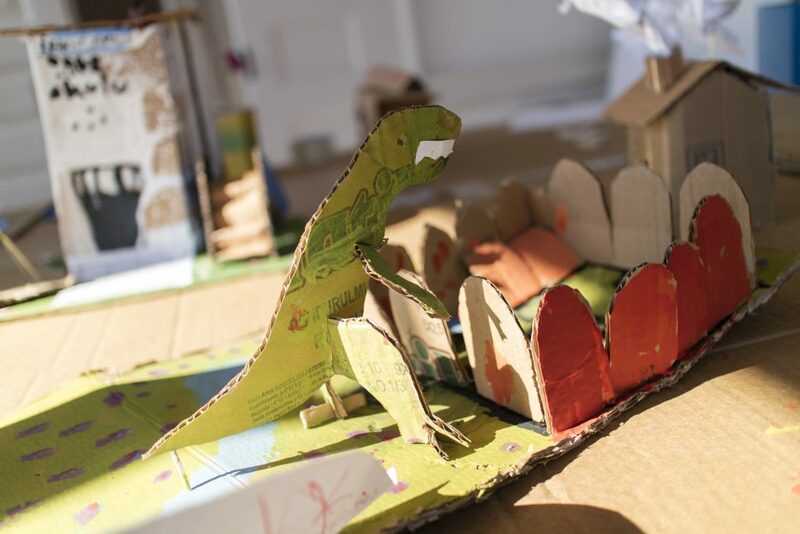 Through play, storytelling, smiles and discussions a small cardboard city were growing up in front of us on the big table. Schools, shopping centers and dinosaurs were popping up. 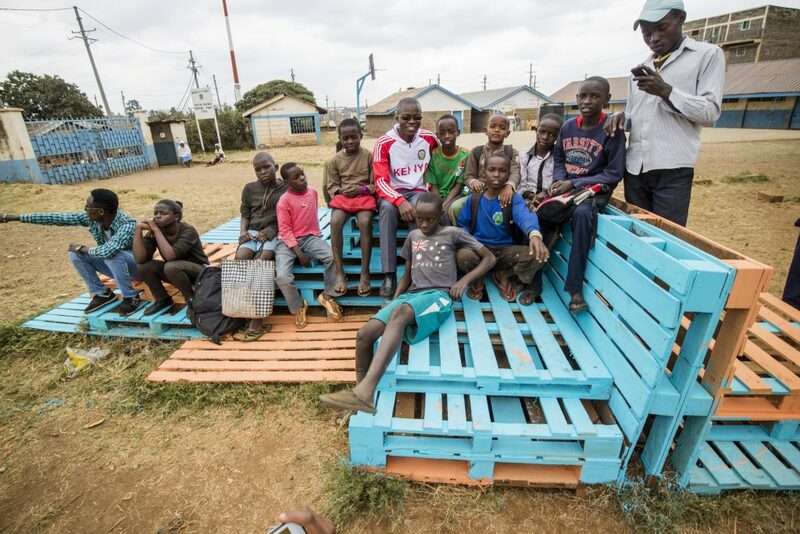 Since 2014, Play without borders develop play opportunities for children and young people living in areas where play, for different reasons, not is prioritized. PWB provide play opportunities, based on site specific research and in close relation to the users, the children.